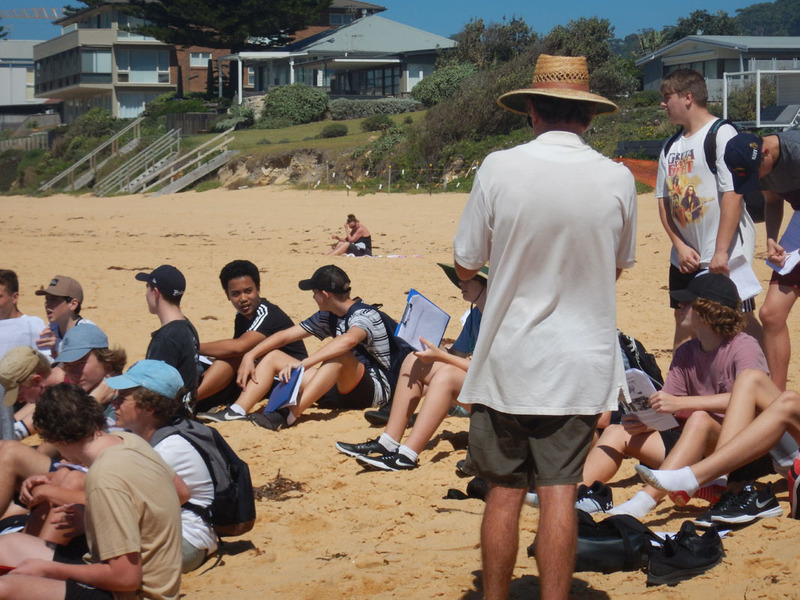 Year 10 Geography students have been learning about coastal management. 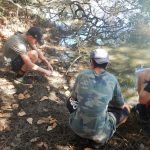 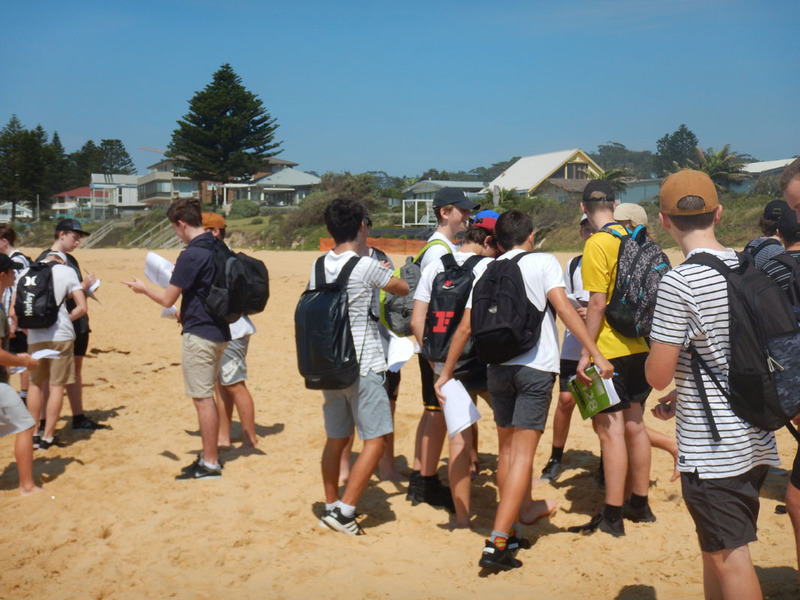 The aim of the field work is to study the processes responsible for the development of erosional and depositional landform features and the impact on the environment. 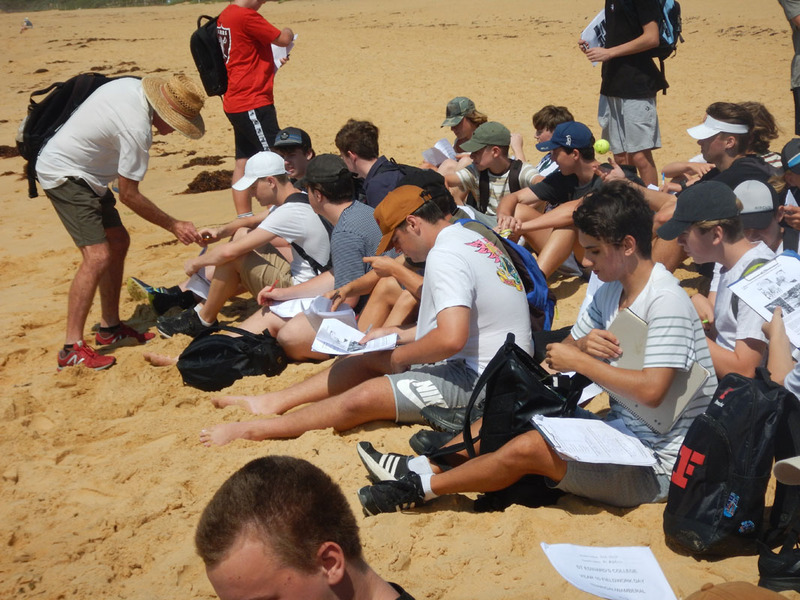 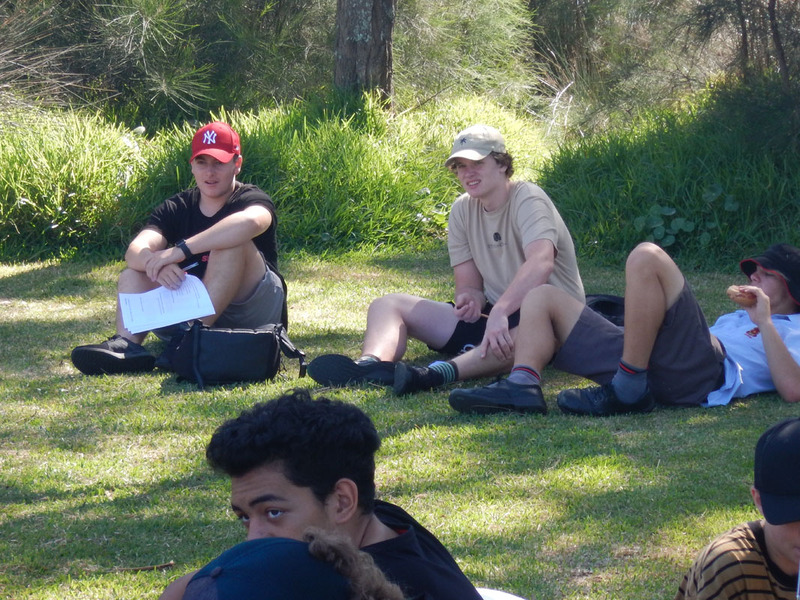 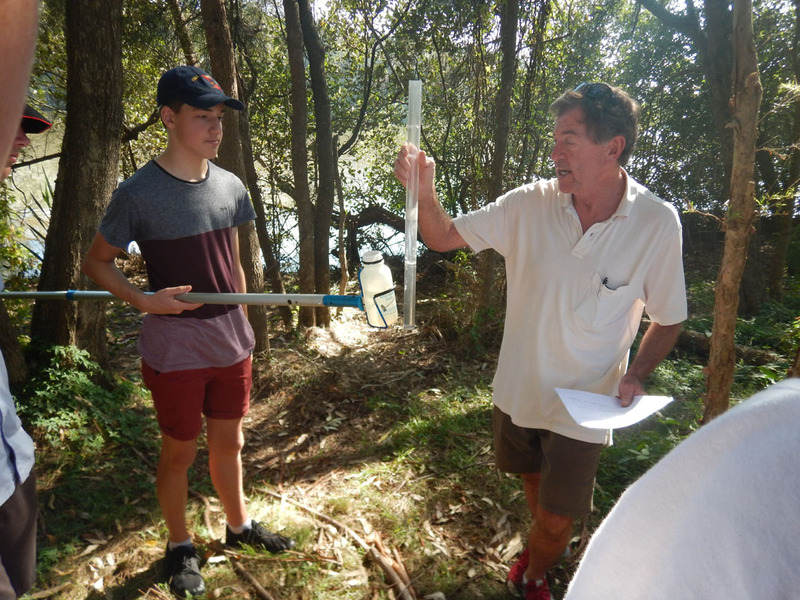 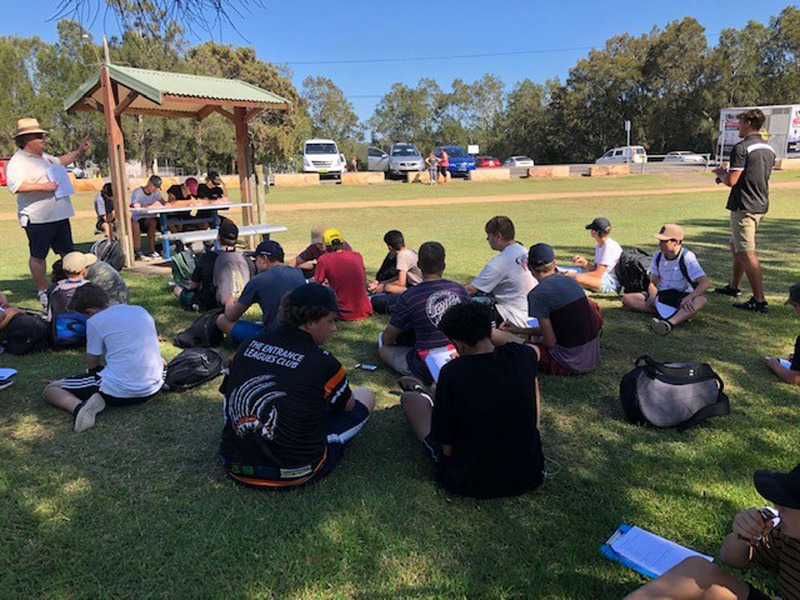 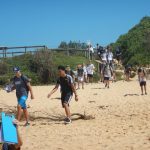 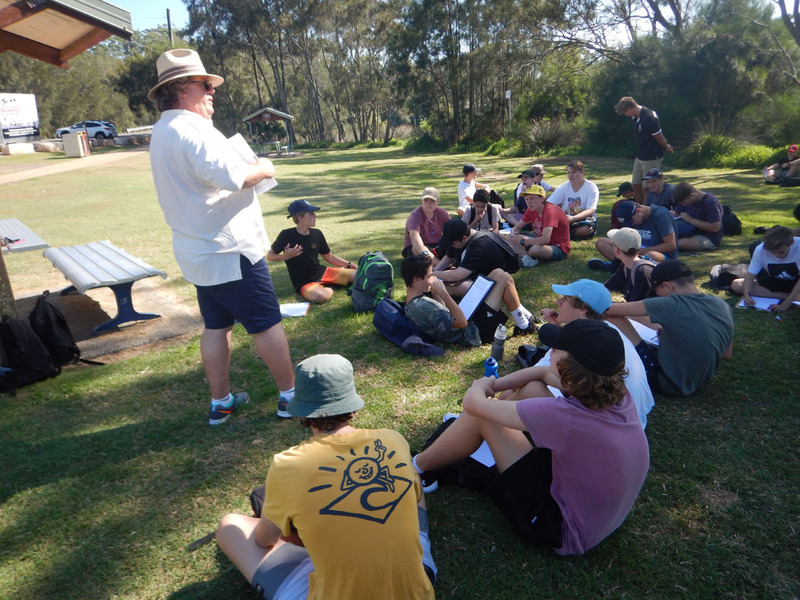 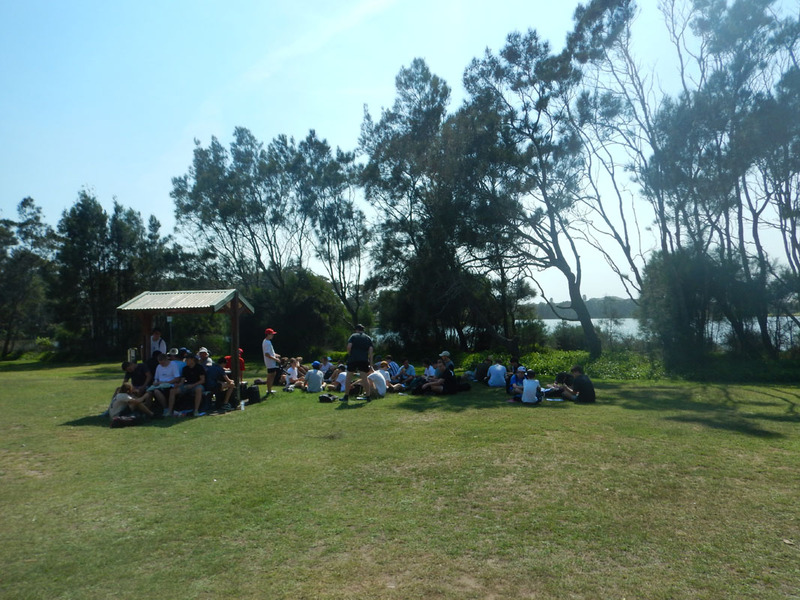 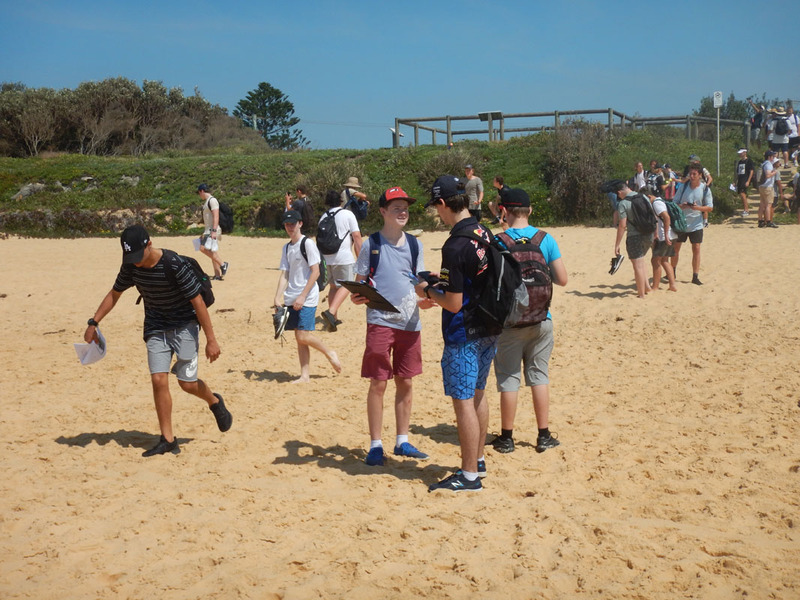 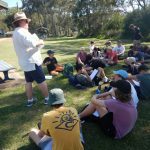 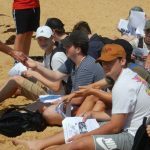 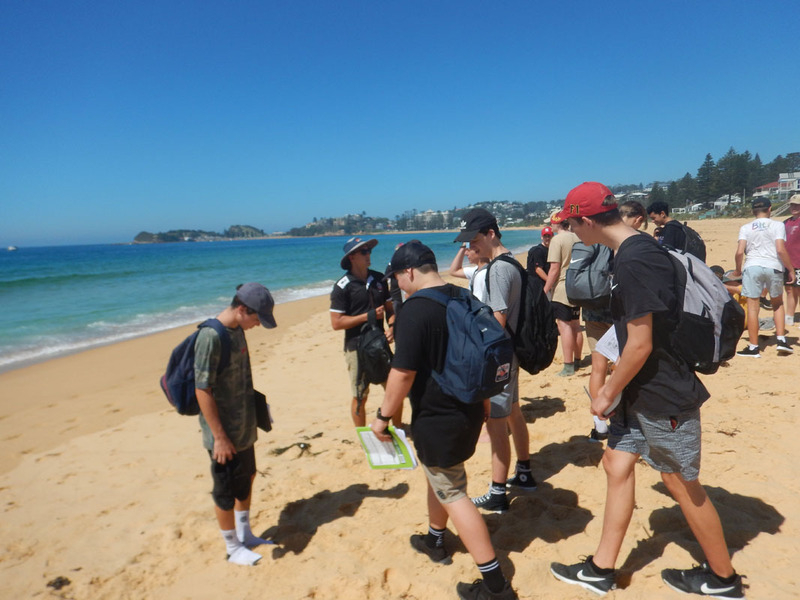 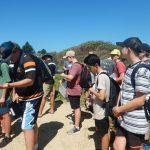 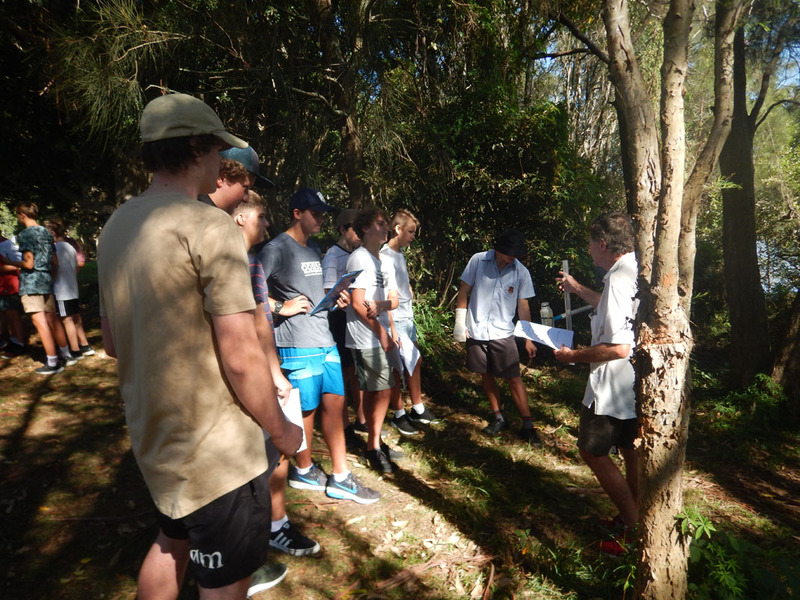 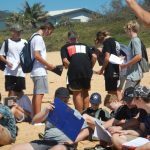 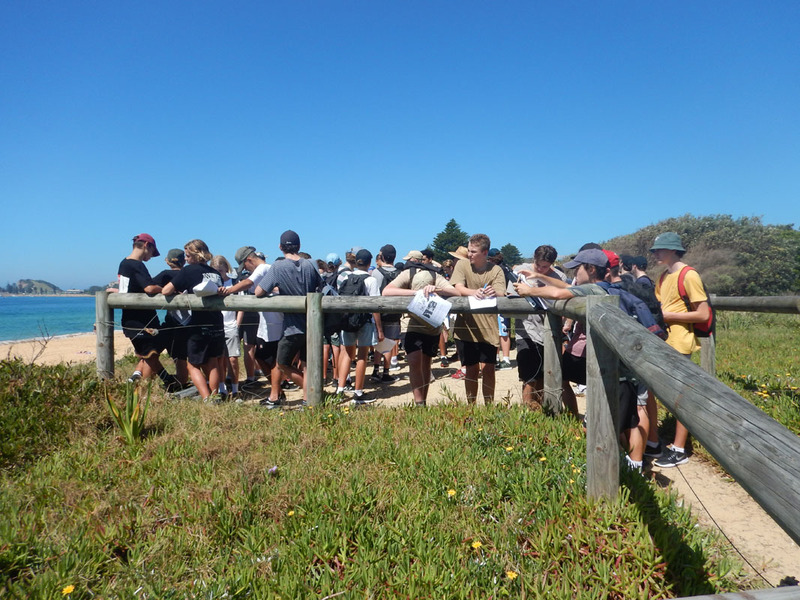 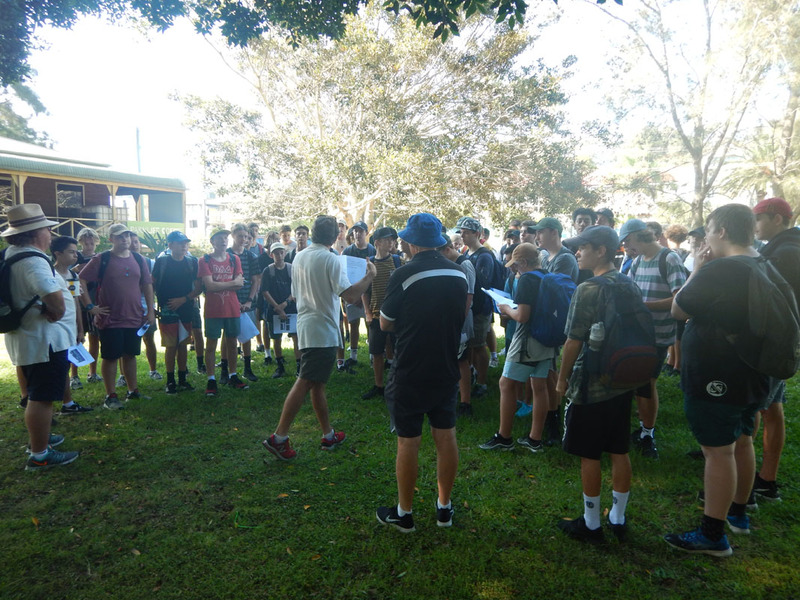 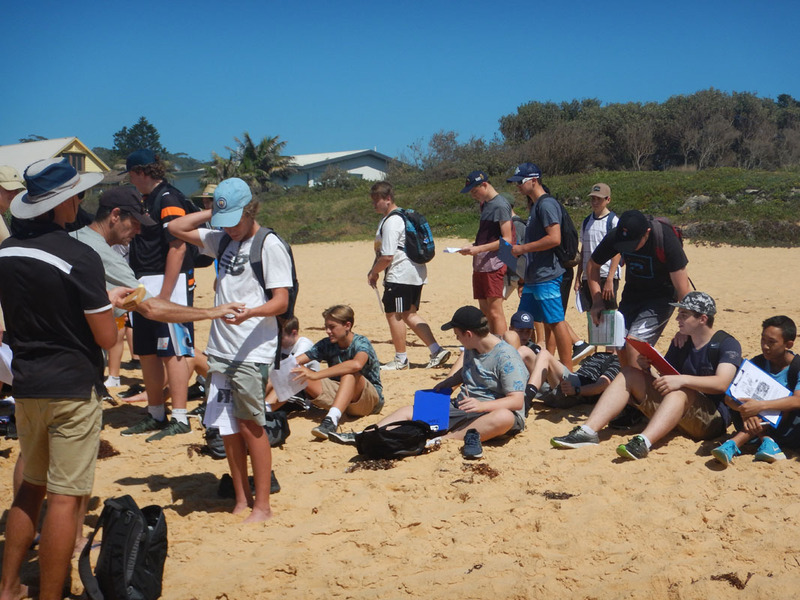 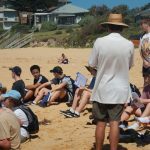 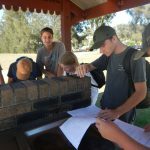 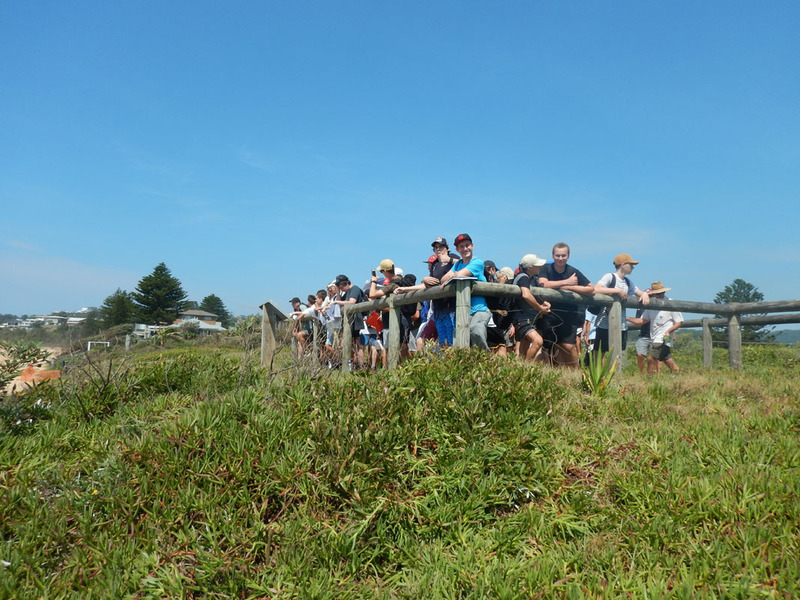 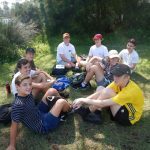 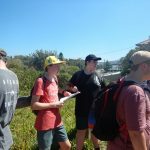 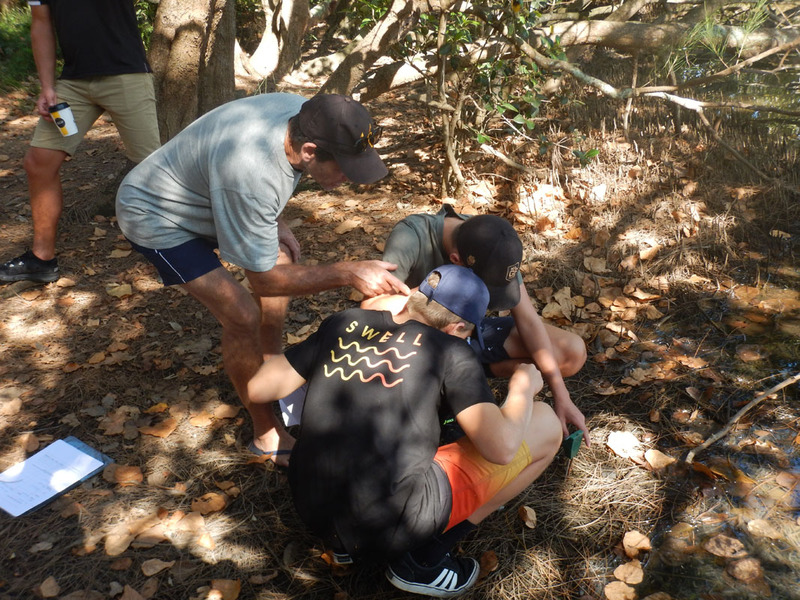 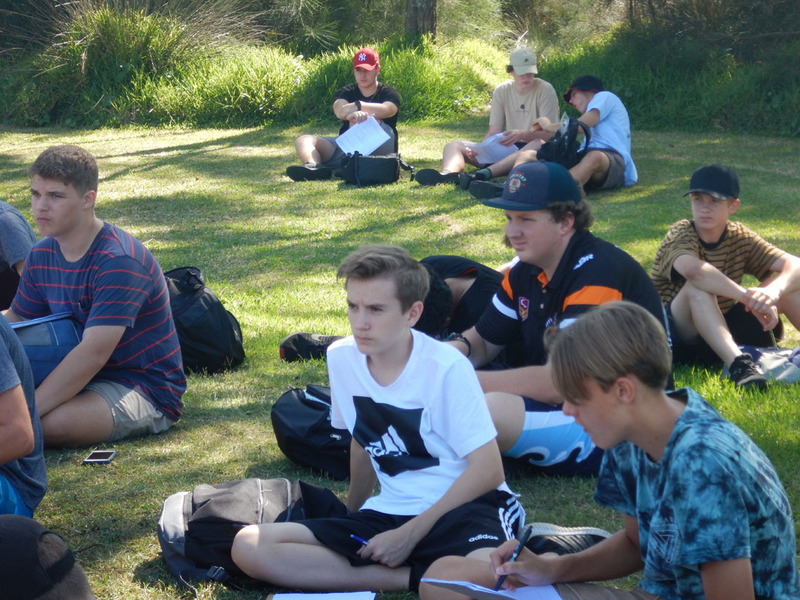 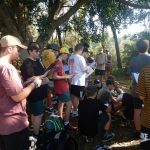 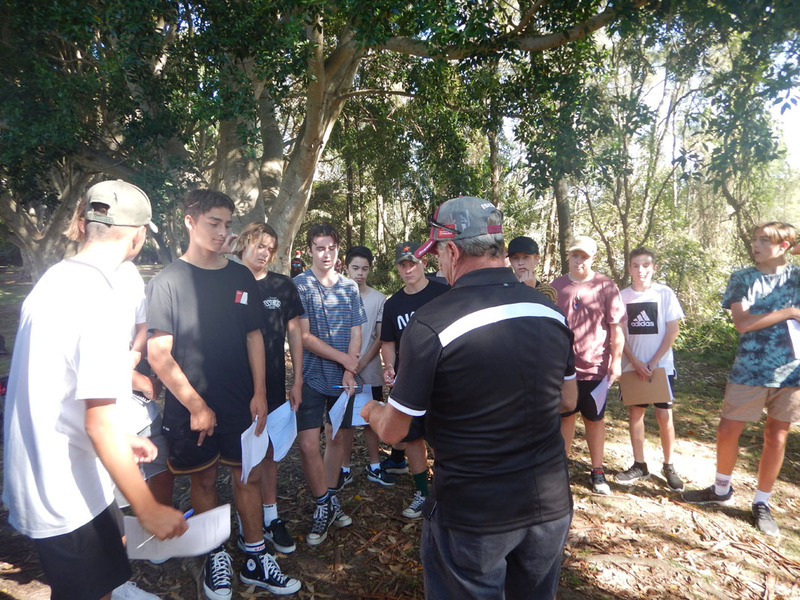 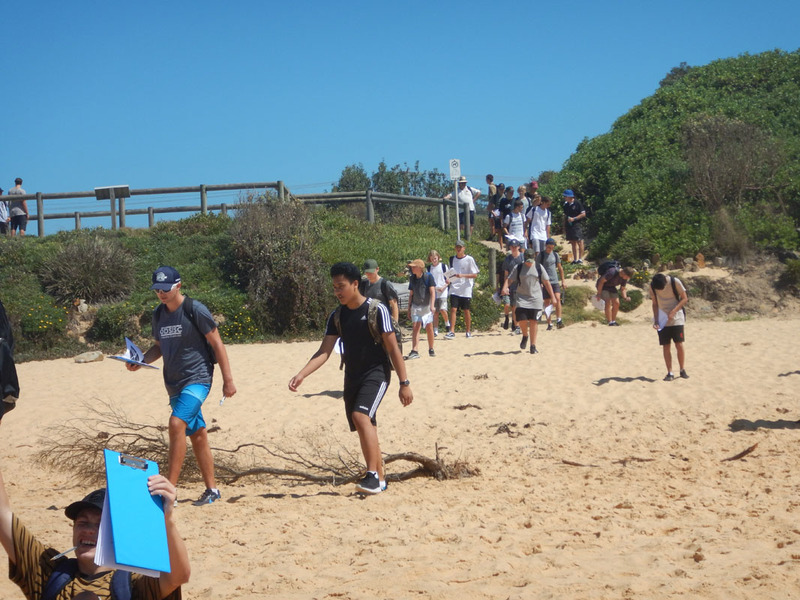 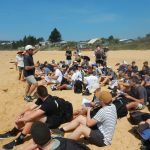 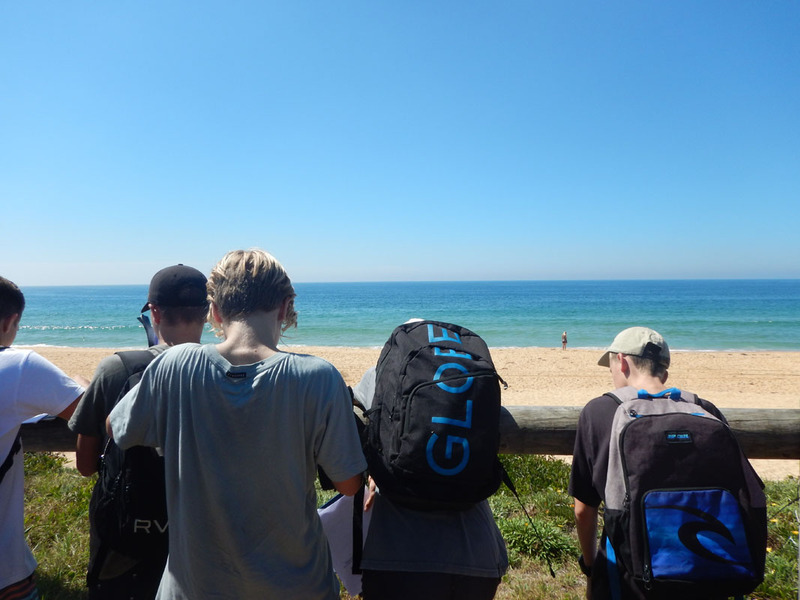 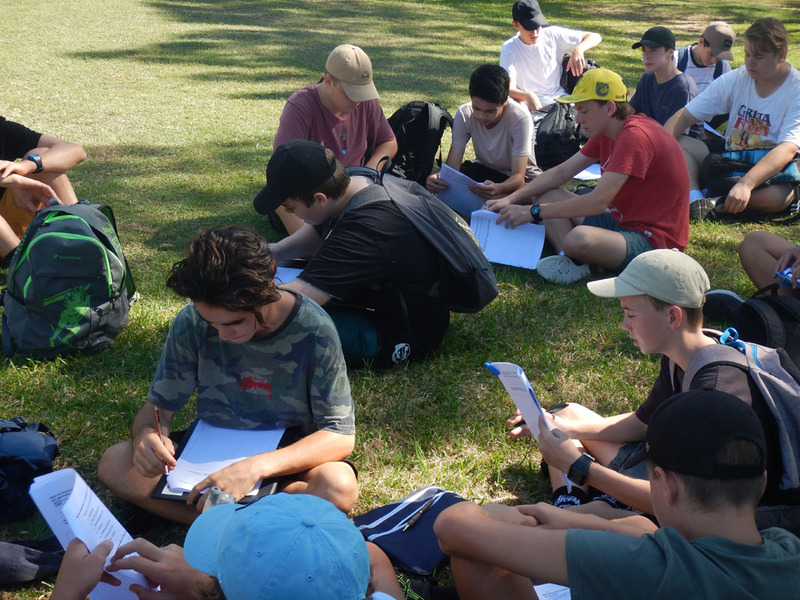 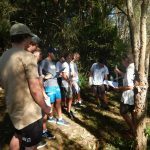 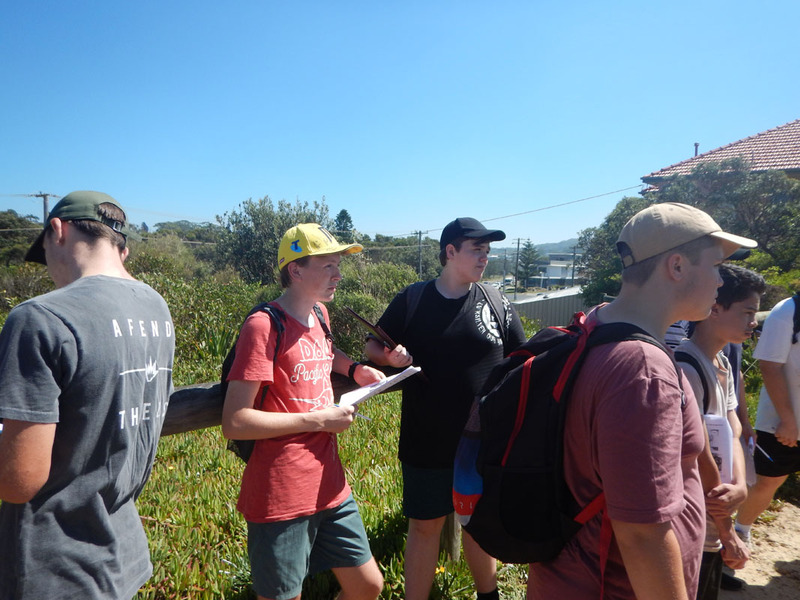 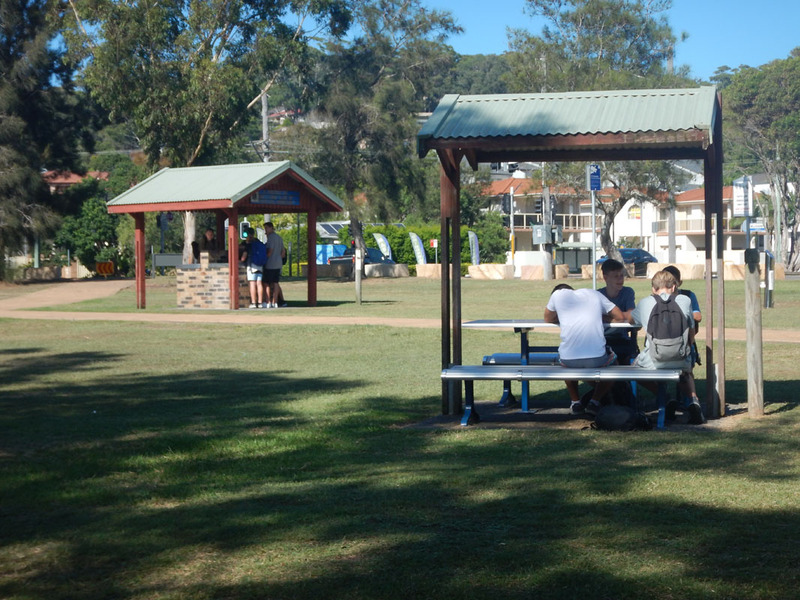 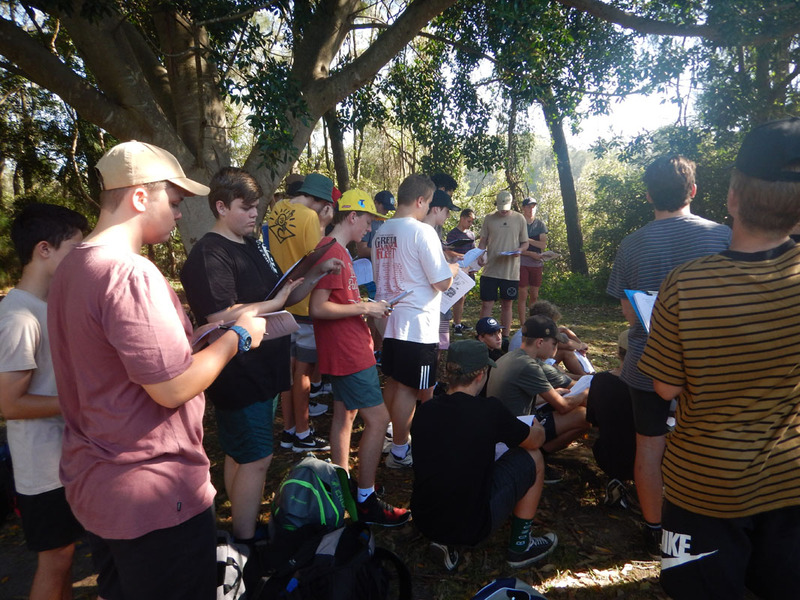 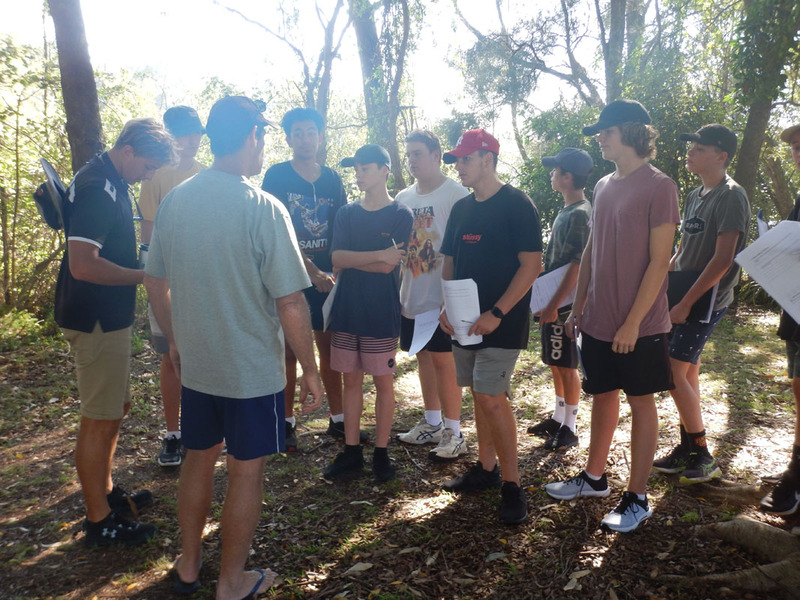 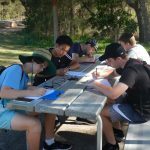 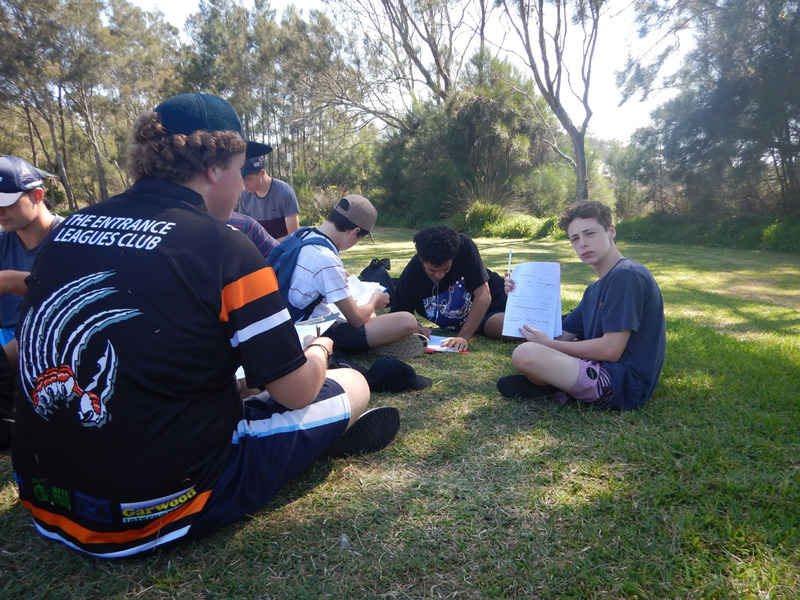 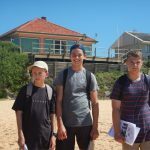 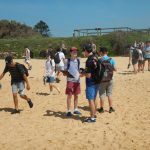 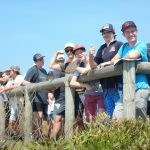 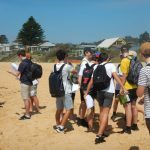 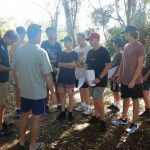 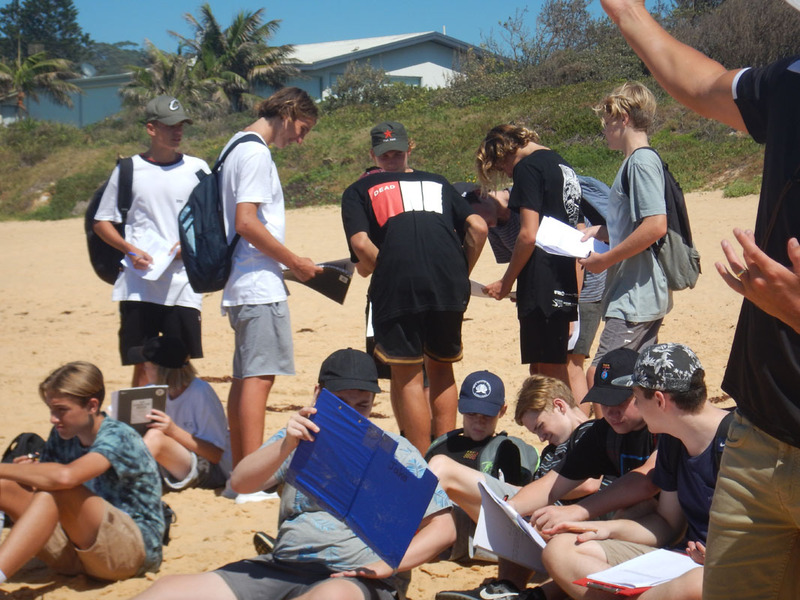 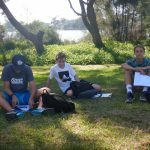 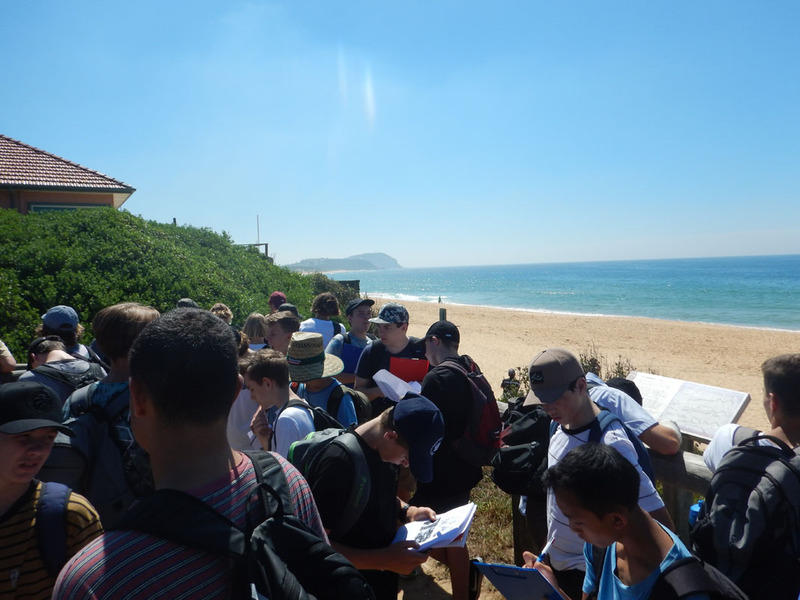 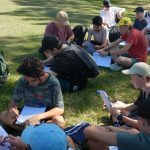 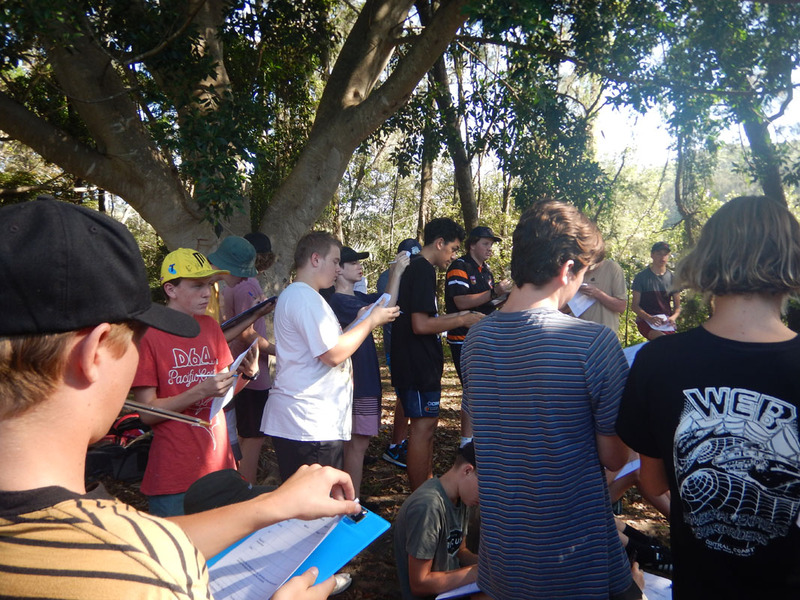 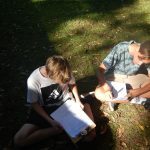 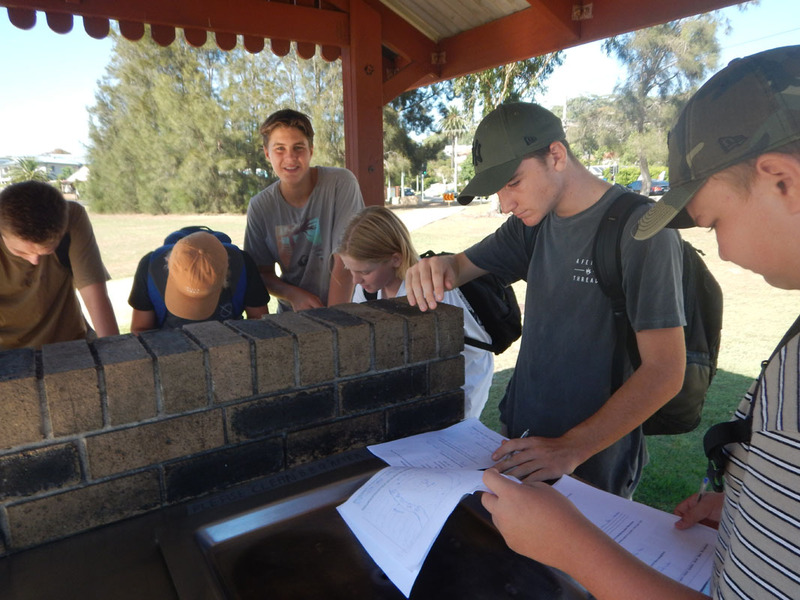 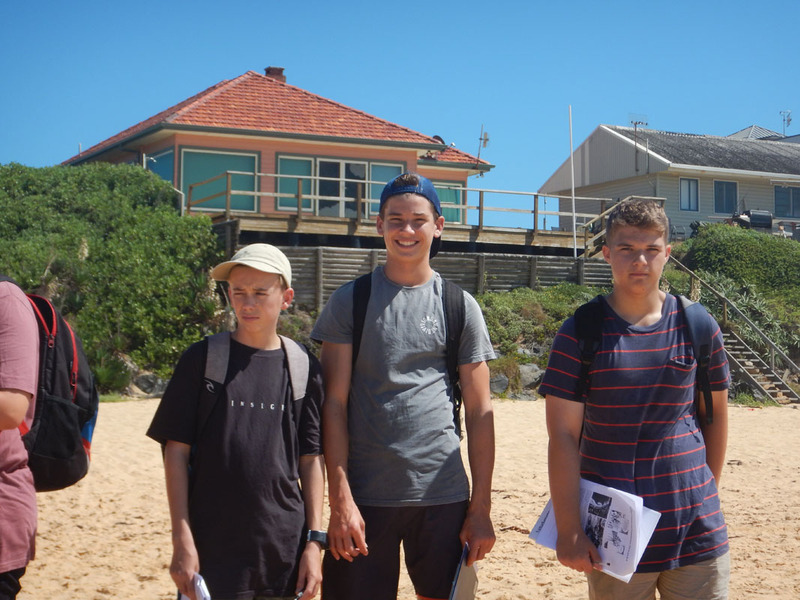 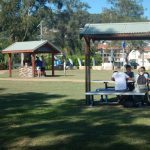 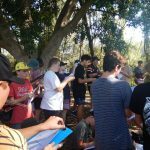 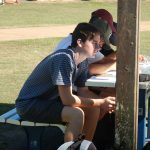 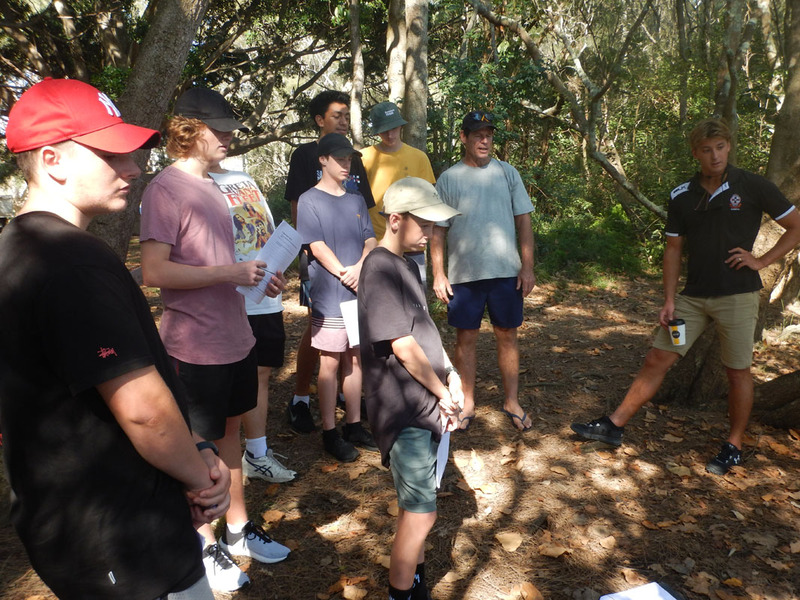 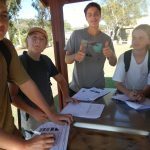 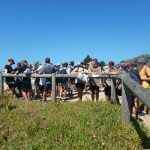 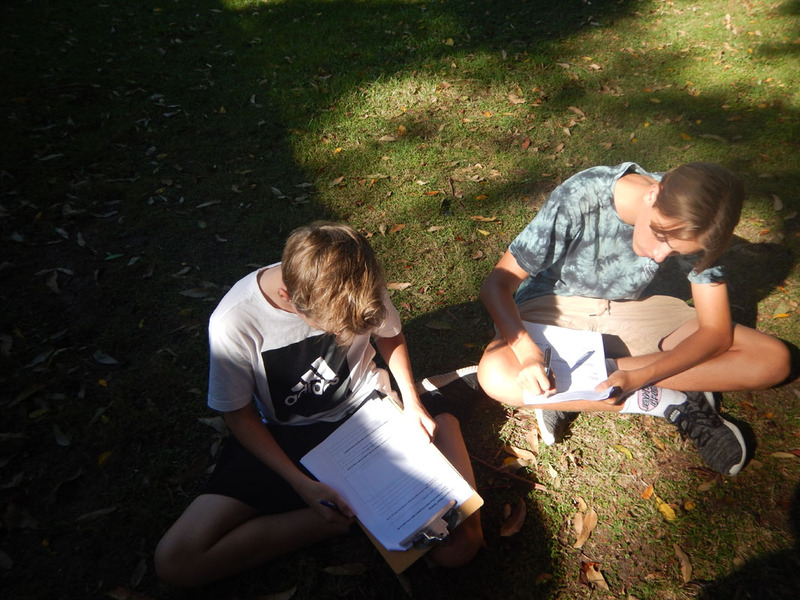 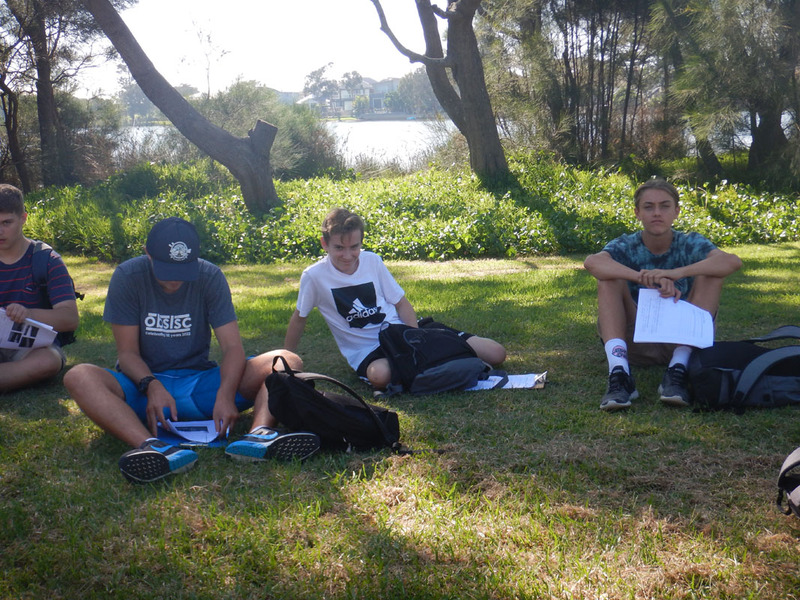 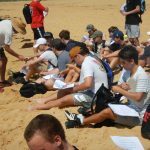 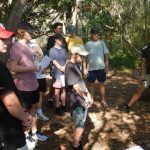 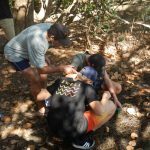 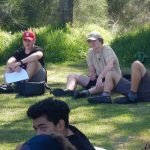 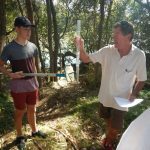 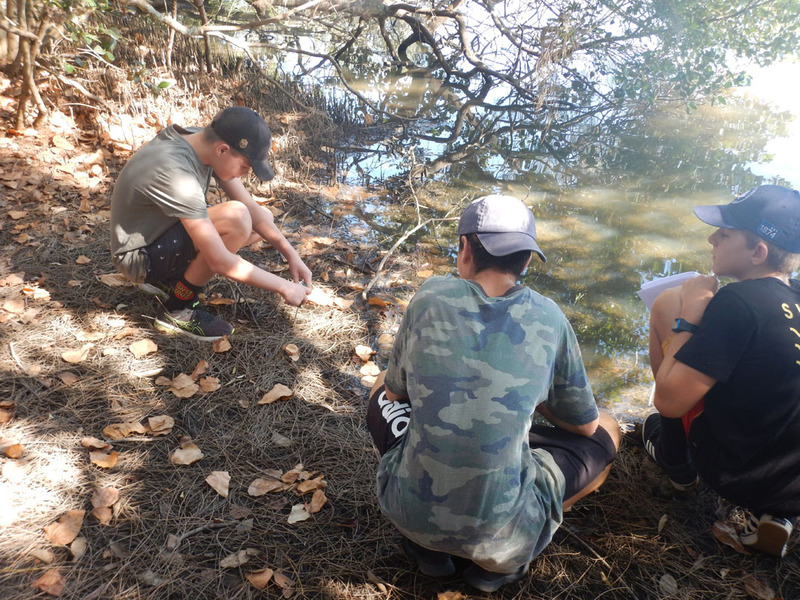 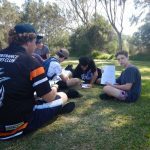 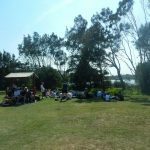 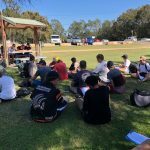 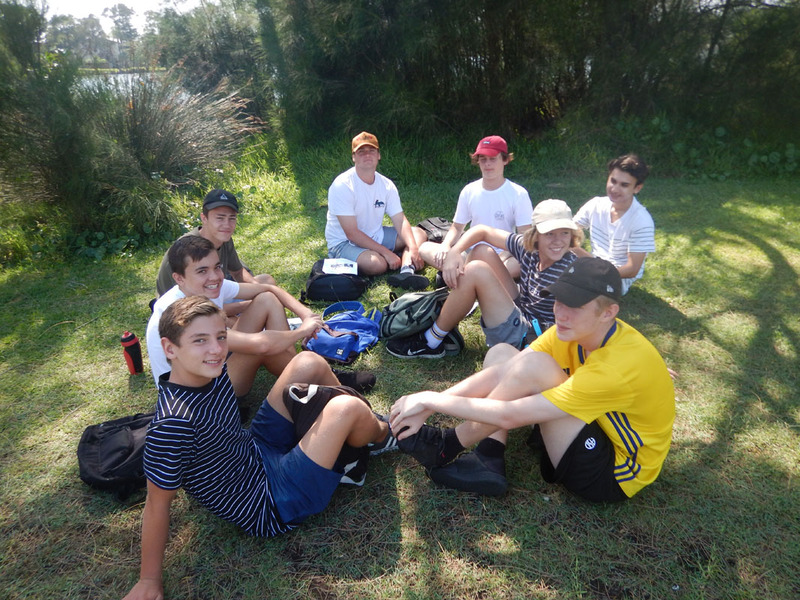 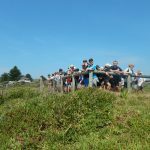 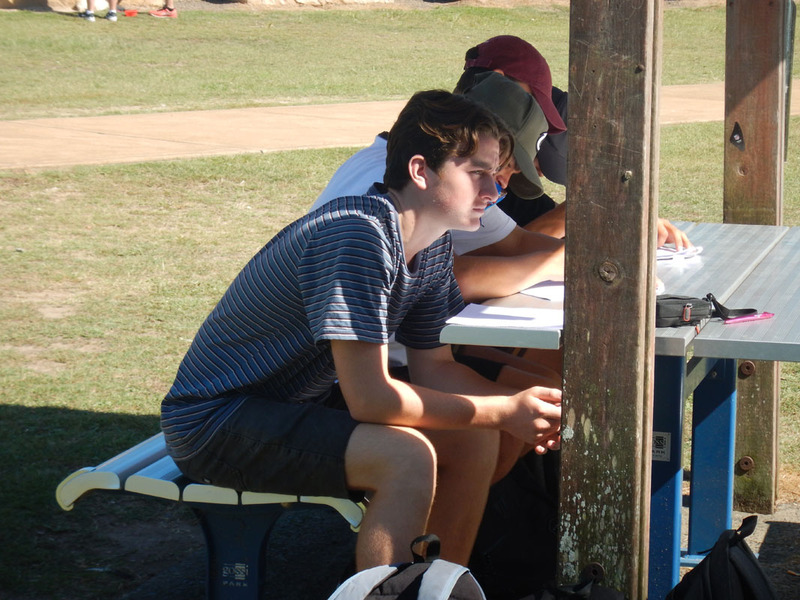 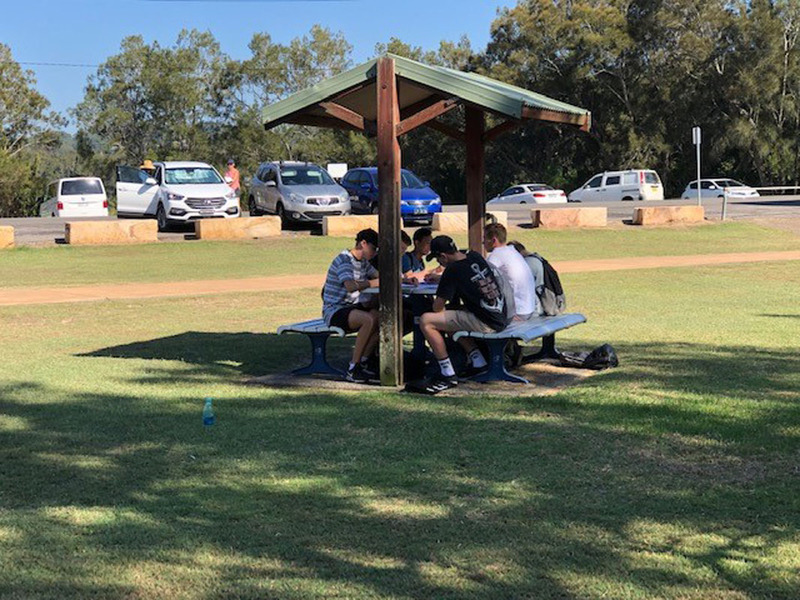 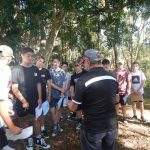 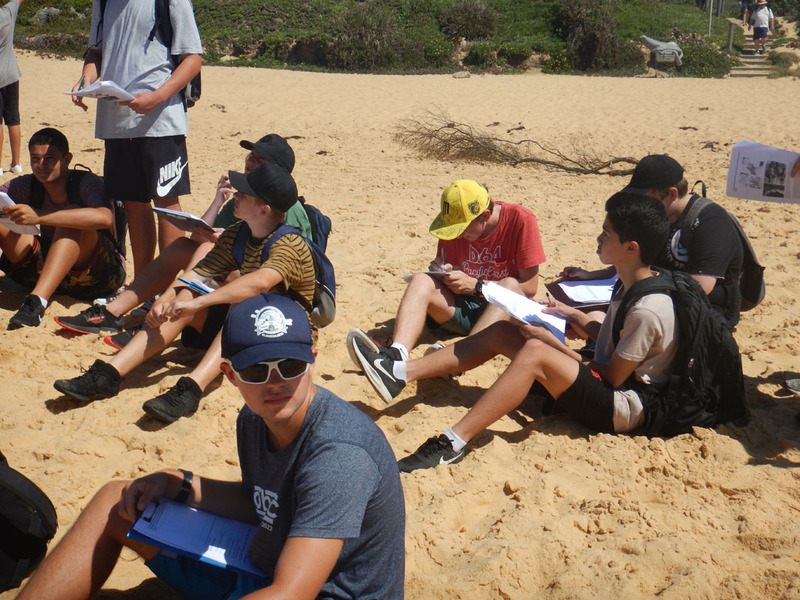 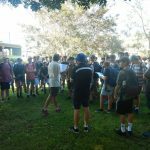 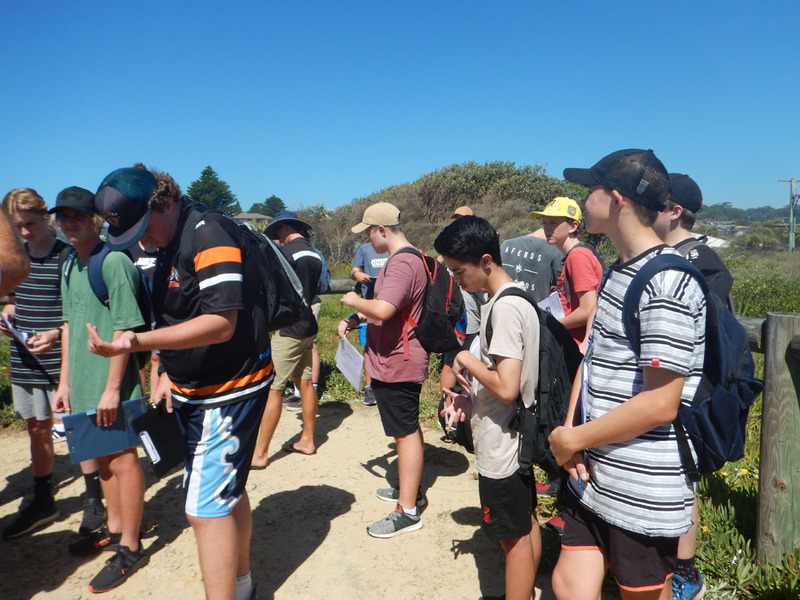 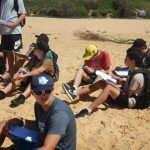 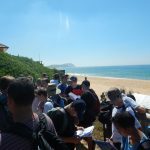 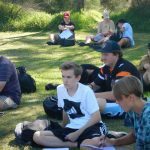 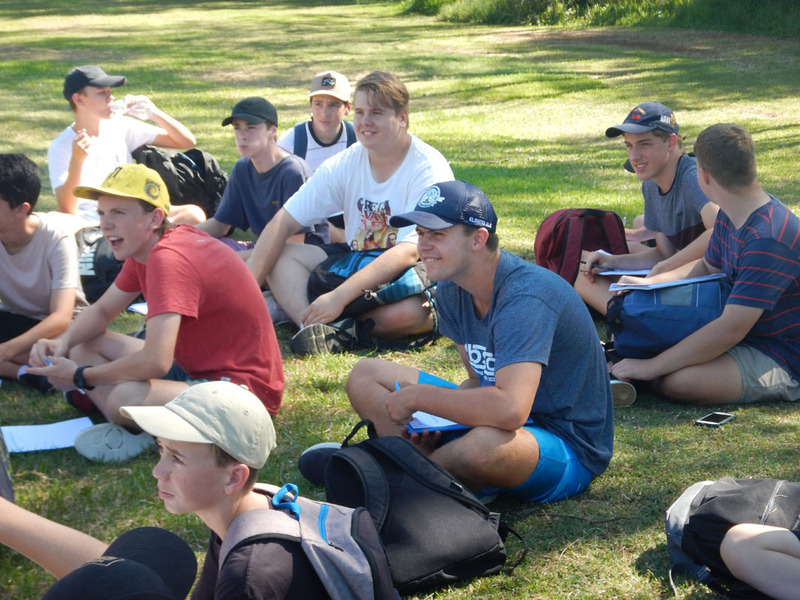 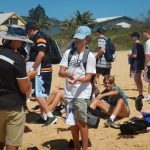 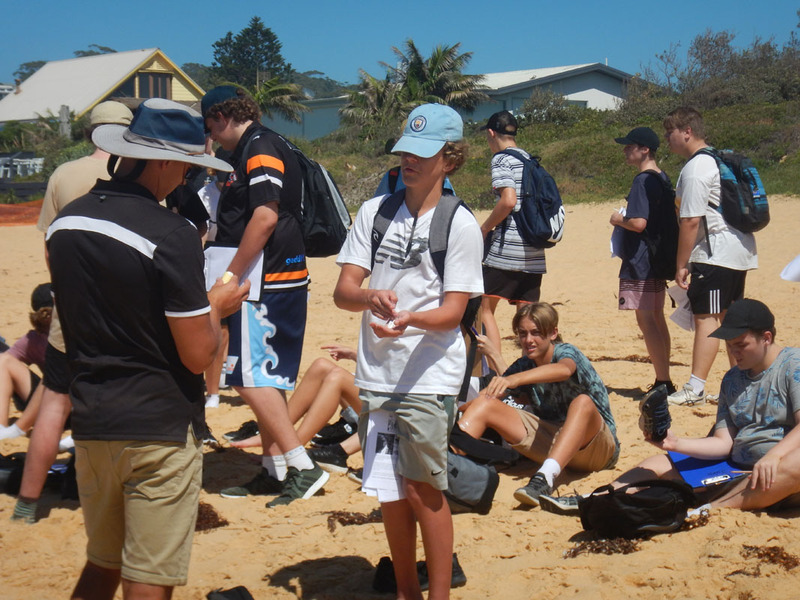 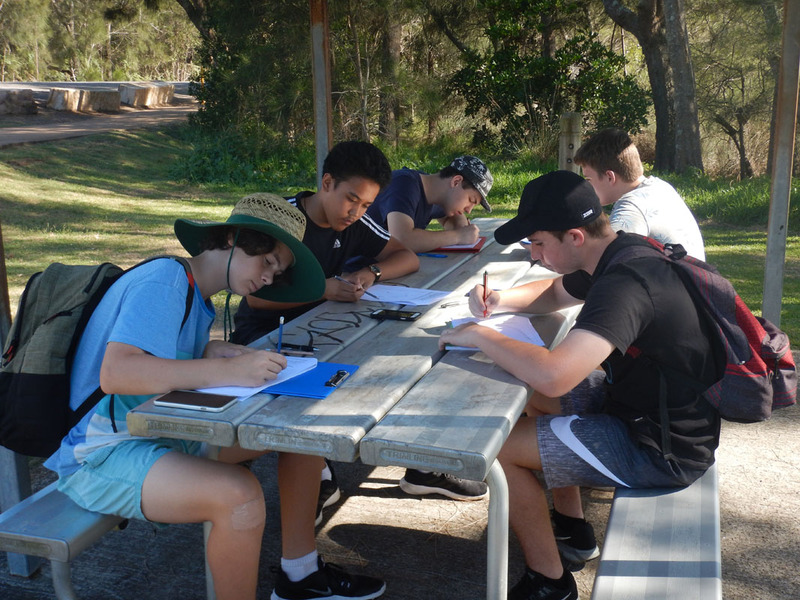 During the field trip, the boys were required to investigate coastal processes, make observations and records, testing the water, soil and air quality, complete sketches, evaluate management strategies, study the wind, waves and currents at Wamberal Beach and assess risk factors between the runes at Wamberal and Terrigal CBD. 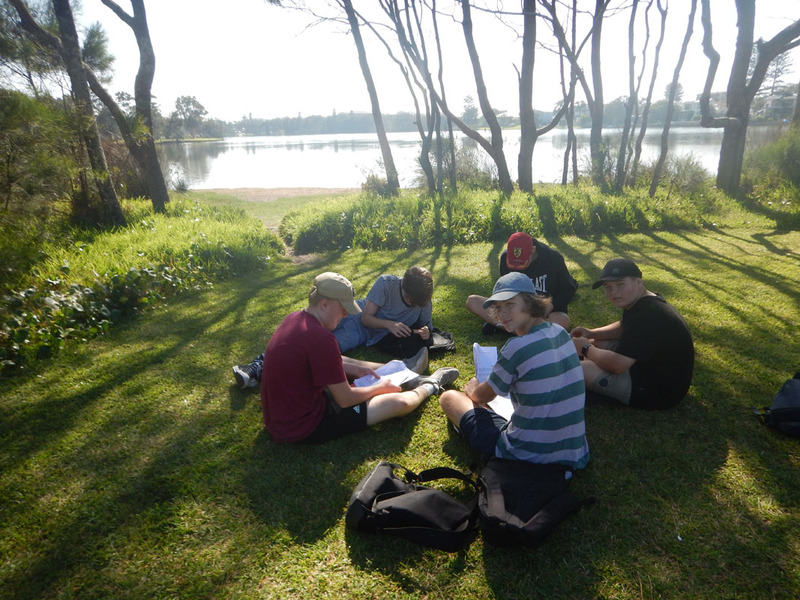 A work booklet and activities were completed and performed at various intervals throughout the day. 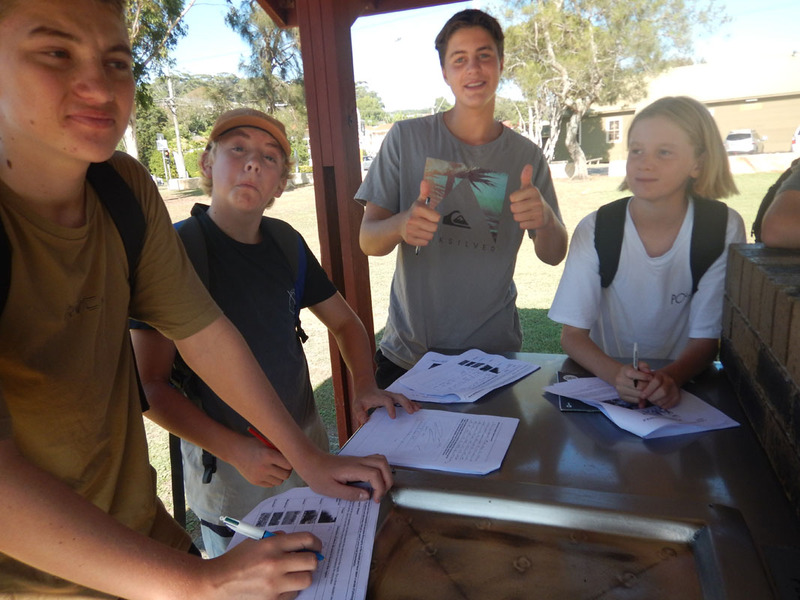 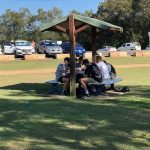 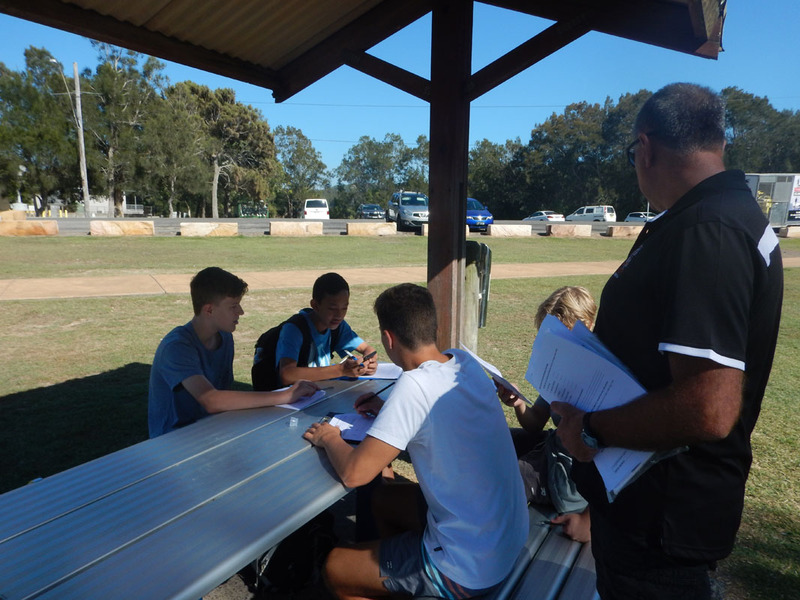 The Year 10 students are to be commended on their manner and level of engagement throughout the day. 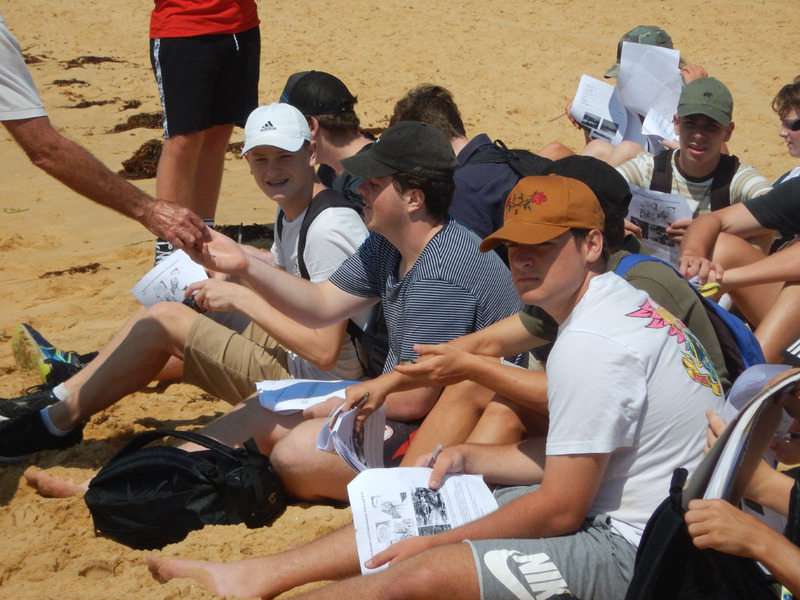 Also, a special thank you to the teachers who attended: Mr Boothe, Mr Judd, Mr Hannelly, Mr Herringe, Mr Streeting, Mr Millar, Mr Foster, Mr Boyd, Mrs Robinson, Mrs Mantellato, Mr Griffin, Mr Moloney, Ms Celebrin and Mrs Taylor. 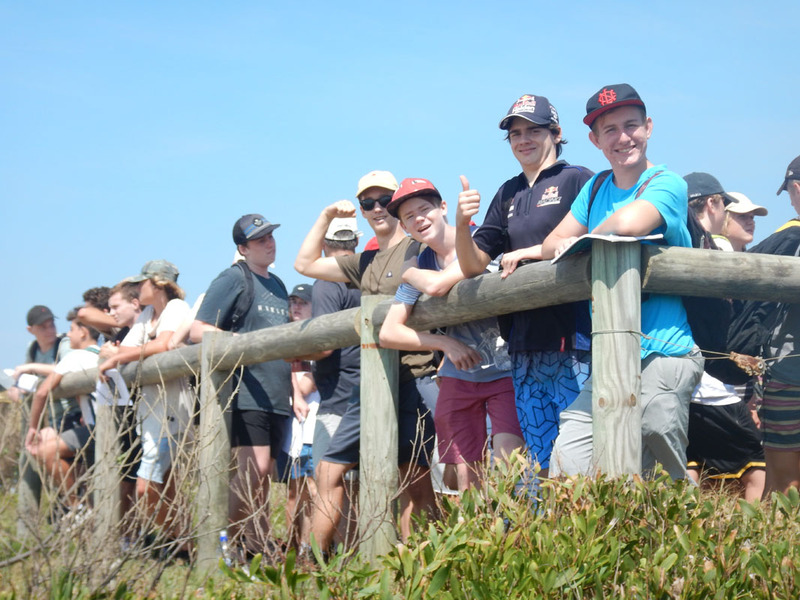 Your support and enthusiasm are much appreciated.